Keep up to date on the latest projects! 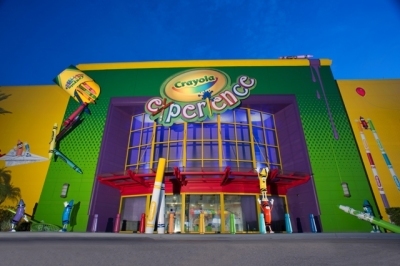 February - June 2015 - Crayola invited us to paint the mural for their newest Crayola Experience location at the Florida Mall, Orlando, FL. 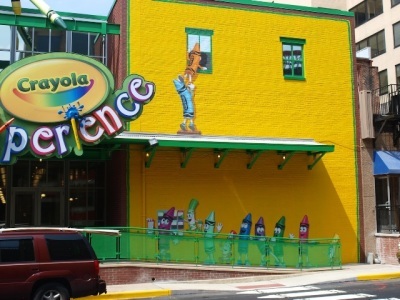 We were honored to once again be able to showcase the color and creativity that is Crayola's claim to fame. Our huge yellow mural leaves no mistake as to Orlando's newest attraction, and engaged visitors even as it was still in-progress. This newest location will also house fun interactive exhibits and tons of hands-on activities for the whole family.